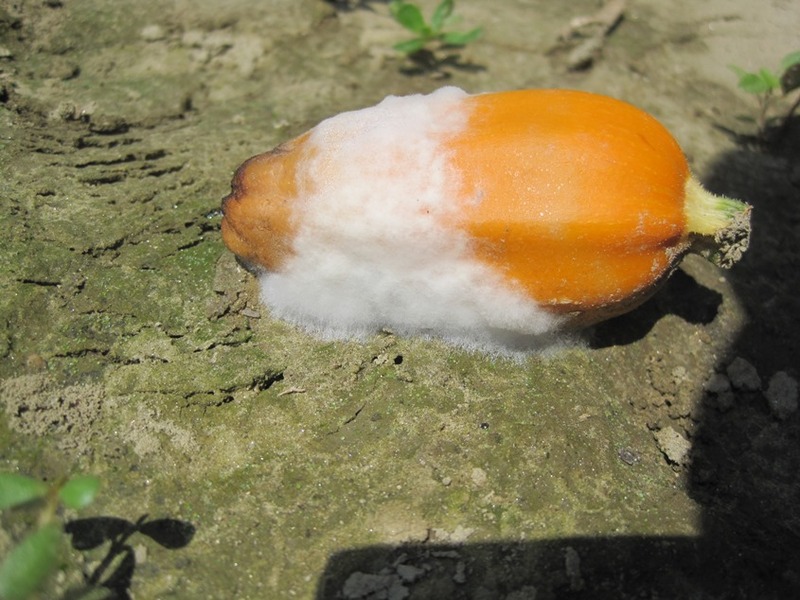 Certain species of Pythium are capable of causing fruit rot of numerous crops. 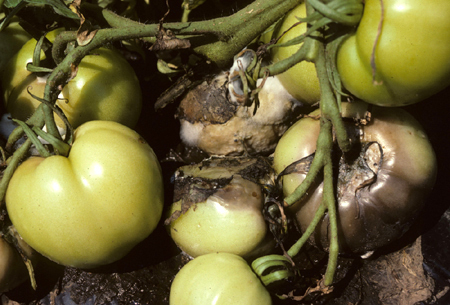 Pythium fruit rot, described as cottony leak or watery rot, occurs during wet weather or in poorly drained areas of fields. Fruit rot caused by Pythium generally starts as small, water soaked lesions on immature or mature fruit near or in contact with the soil. The whole fruit is involved within 72 hours, the epidermis is ruptured, and the fruit collapses. Under high moisture, a white, cottony growth may be apparent on the lesion surface. Pythium species can survive indefenitely in the soil on various organic substrates or as long-lived, thick-walled oospores. When free moisture is available, sporangia and zoospores are produced. Fruit infection can be by means of vegetative mycelium, sporangia, zoospores, or oospores. Zoospores are attracted by fruit exudates and swim towards the fruit. The pathogen is capable of direct penetration, but wounds enhance infection. Highly succulent plants due to poor growing conditions, especially excessive nitrogen, are highly susceptible. Start with high quality seed grown under optimum temperature, moisture, and nutritional conditions. Avoid excessive watering and low, poorly drained areas of fields. Prevent fruit contact with the soil by staking and/or mulching.